Let us help you sell your salt and pepper shaker collection! Advertising on our Web site will reach our salt and pepper shaker collector members from around the world. 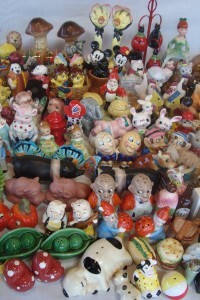 Members of the Novelty Salt and Pepper Shakers Club visit our Web site on a regular basis. You will need to be a club member to advertise. It’s easy to join and membership dues are very reasonable. See Membership Q&A for dues information. To advertise your collection for sale on this Web site or if you just have a question about selling your collection contact Pat Yedlin via the contact form. Information about your collection, e.g., number of shakers, makeup of collection, price, sell as a whole or in parts, whether photos will be available to potential buyers or not, etc. Ads will start upon your approval of the ad. Disclaimer: The Collections for Sale Web page is provided as a courtesy for our members. 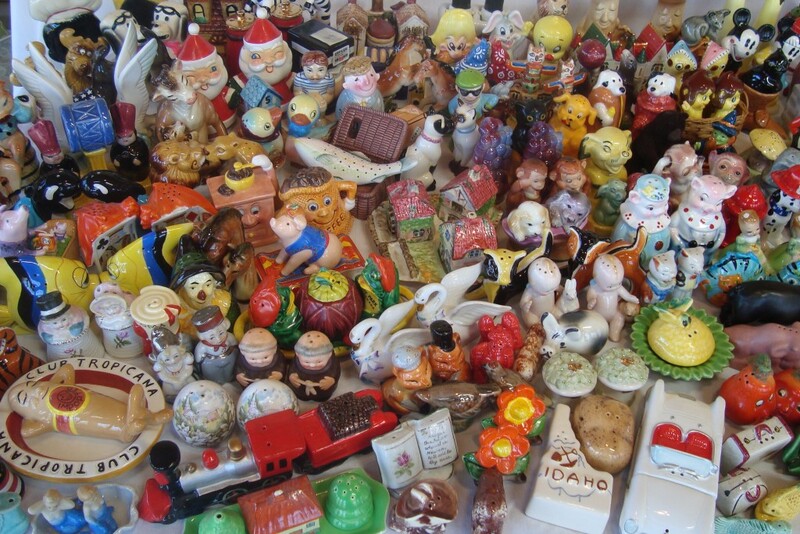 It is for the advertisement of salt and pepper shaker COLLECTIONS for sale – not for listing individual sets. Collections may be sold as a whole or divided into parts as determined by the seller. Advertisers need to be members of the Novelty Salt and Pepper Shakers Club. All sales are between the seller and their buyer(s). The appearance of an advertisement on this Web site does not constitute an endorsement of that seller or collection. The Novelty Salt and Pepper Shakers Club retains the right to screen incoming ads and to remove or not post any ad deemed inappropriate. The Novelty Salt and Peppers Shakers Club and its Web site are not liable for the content or viability of these collections, any loss or damages arising from them or the actions of persons contacting the sellers from this Web site.